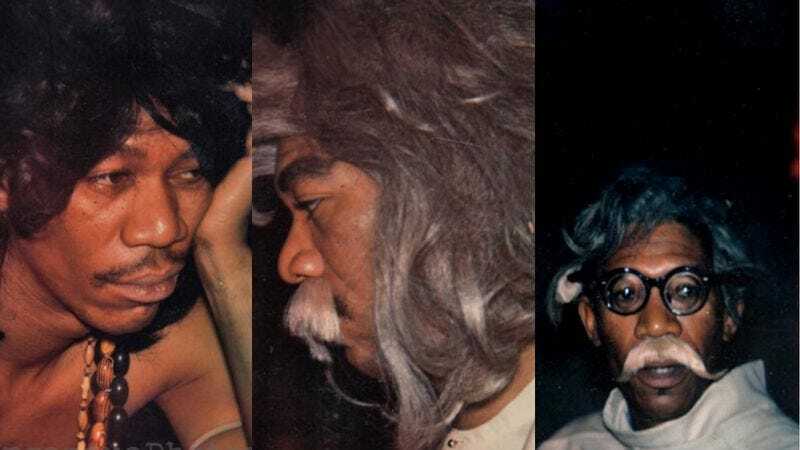 Even surrounded by a cast of characters that included trenchcoat-wearing super sleuth Fargo North, Decoder, and a curiously mute Spider-Man, Morgan Freeman was easily the coolest person on PBS’ The Electric Company, an educational series that ran from 1971 to 1977. The future Shawshank Redemption star was a regular on the groovy, sketch-comedy-style program, alongside such notables as Rita Moreno, Luis Avalos, Skip Hinnant, and Bill Cosby. Freeman played a variety of characters: a wild-haired mad scientist, disc jockey Mel Mounds, and, best of all, a super hip bibliophile called Easy Reader. So what was this experience like for Freeman? Did he enjoy working under the auspices of the Children’s Television Workshop? Let the good times roll. And here he is, none too thrilled to be playing that aforementioned mad scientist yet again. If nothing else, The Electric Company gave Freeman the opportunity to perfect his thousand-yard stare. His characters tend to be world-weary men who have seen too much in their lives. These pictures reveal that the actor has plenty of real-life Electric Company hardship on which to draw when he portrays such roles. Poor guy.